Here we have listed the Best Proxy Servers and Sites that are helpful when your ISP has blocked certain websites. Places like School, Colleges usually don’t allow certain sites to open publicly. I have seen institutions blocking social networks, video sharing, and gaming websites commonly. And even website owners prevent the individual country from accessing their site. With Proxy sites, you will be able to open all such blocked websites. Another way of doing it is by a VPN service, which often comes with a price. One more way these Proxy sites help us is that, they make our web surfing anonymous and hence secure. So, to sum up proxy server’s actual work is to unblock sites and make your internet surfing anonymous. 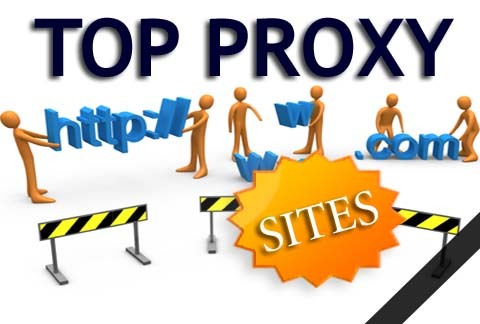 Proxy sites have a pretty easy way of using them; you will just need to enter your desired URL or web page and the proxy server will help you explore the entered URL without any issue. Note: Not every proxy site are safe, some may contain malware, virus, and they can take your private information. Considering everything above, I will be sharing some of the Best Proxy Servers and Sites that are safe and trusted (in my experience). You will see that these proxy sites are made in HTTPS, and some of them may need you to enter your IP address. With the list below you will now be able to see blocked YouTube videos, social networking sites like Facebook and Twitter. And moreover you can visit adult sites that your ISP may have blocked. I hope you will find this list of great web proxies, reverse proxy and SSL proxy helpful. If you would like to suggest a new proxy site or server you have used and its not on the list, do leave your comment with the URL to the proxy. Use our free proxy to surf anonymously online, hide your IP address, secure your internet connection, hide your internet history, and protect your online identity. FilterByPass : It’s a new addition to this list and its probably the best out of the lot. Newipnow.com : Every website you visit knows your IP address– the web ID for the computer you are connecting through. With NewIPNow.com, you can use our IP addresses to manage your web identity: › Browse the web anonymously using our shared, public IP addresses. Blewpass : Browse anonymously and/or bypass your workplace, college or school network restrictions. Are your favourite sites blocked? Browse through blewpass.com instead! Just type the address of your favourite site in the text-field. Proxify : Proxify is an anonymous proxy service which allows anyone to surf the Web privately and securely. Unlike other VPN and proxies, there is no complicated software to install. Anonymouse : Many mice surf the web under the illusion that their actions are private and anonymous. Unfortunately, this is not the way it is. Ninjacloak : Ninja Cloak is a free anonymous web-based proxy service. With Ninja Cloak you can browse your favorite web sites anonymously and even from behind a firewall with blocked ports. KProxy : KProxy.com is helping hundreds of thousands of people daily protecting their privacy and identity online and giving access to censored sites since 2005. KProxy.com is the most reliable and fastest free anonymous web proxy in internet. Webevader : This unique proxy list sorts all of the free proxies by their country of origin (through their IP), by popularity as well as the most recent proxies submitted. Unblockit : Surf the internet secretly and hide your online identity with fast and free web proxy server provided by unblockit.cc. The free ssl proxy server gives you complete confidentiality while using the Internet by hiding your IP address and dodging all network restrictions imposed by security administrator. No need to change any settings in your browser or in your network setup. Start browsing blocked websites now! We keep this list updated and will be adding, removing more sites that we find genuine and trustworthy. Thanks for visiting our website, to get updates, do subscribe our email newsletter or follower our social media pages. It will really mean a lot. I am using Kproxy. It is one of the best proxy changing site for me.